Families looking for a new home in Mountain View will have two new options coming in 2019: Montecito Place and Trio. Located at 2054 Montecito Avenue, Montecito Place will offer 52 tri-leveled townhomes. These new townhomes will feature 2-3 bedrooms and 2.5-3.5 bathrooms in approximately 1,406-1,708 square feet. There will be four different floor plans available and a central common area with exciting amenities. 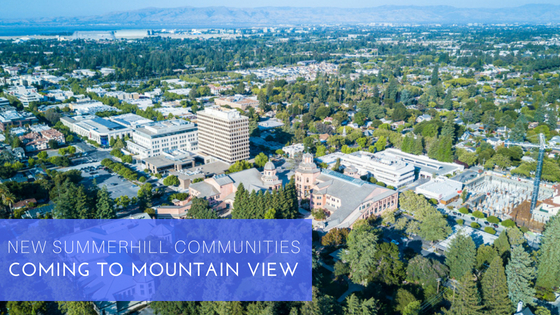 Not only will both Montecito Place and Trio feature a central common area with exciting amenities at the community, they are also central to many of Mountain View’s top employers, including Google, Microsoft, LinkedIn, Kaiser and El Camino Hospital to name just a few. There’s also convenient commute access near Caltrain, Light Rail and major freeways. More information will be coming soon on both communities. To get a first look at the new townhome plans as well as grand opening dates, be sure to join our Interest List.